Keen on wearing a Jean? A jeans pant is the most casual and is preferred to wear by any individual. But when you put stuff like mobiles, keys wallet etc. the pockets get conjusted and are poking out giving an ugly look. 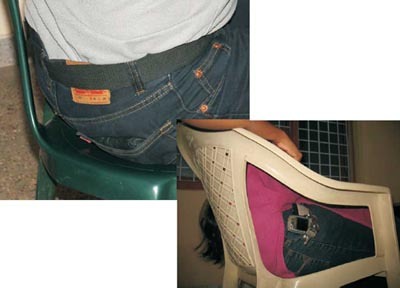 Surprisingly , you loose a lot of things this way, as they fall off when you are sitting and cause inconvenience when in the back pocket.SO ARE YOU STILL KEEN ON WEARING A JEAN?